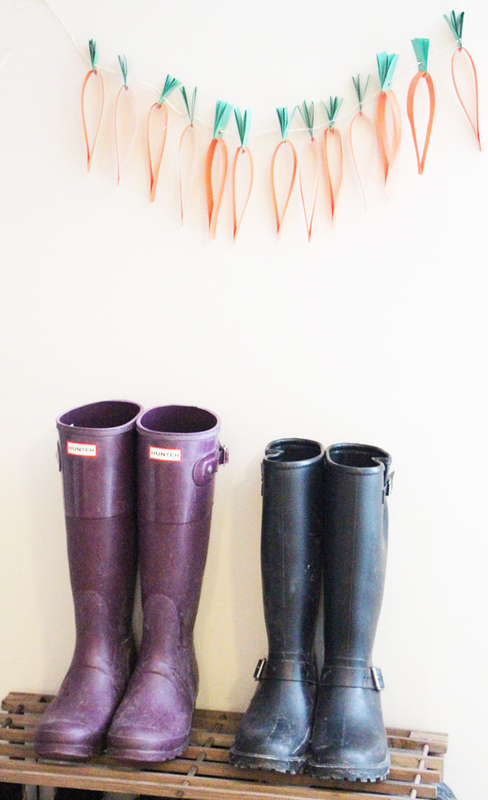 Get ready for the Easter bunny with this adorable decorative garland that’s easy to make! Easter is a wonderful time in Canada—it means spring has sprung and the winter freeze is all but over. 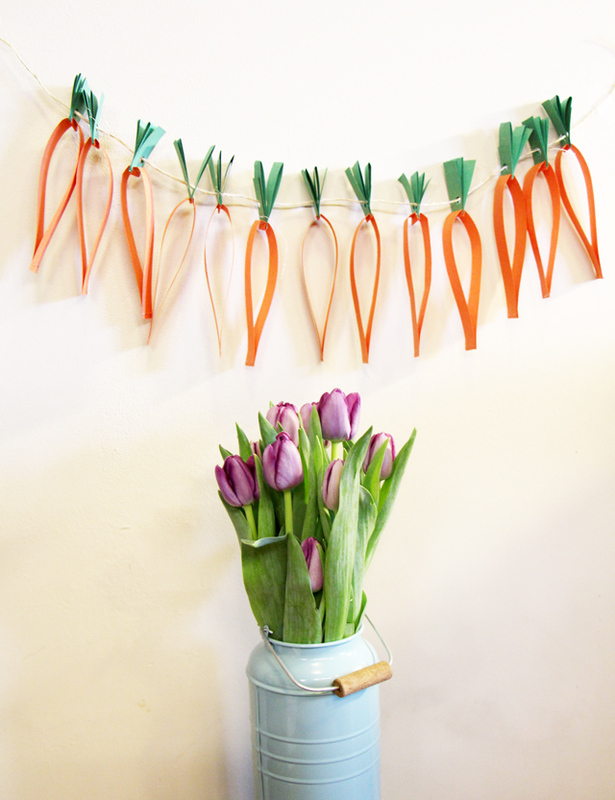 This year, we’re celebrating with this amazing, easy-peasy do-it-yourself carrot garland. Sure to be a hit with all your guests this Easter! Grab the orange paper and cut a 1.25cm strip lengthwise. 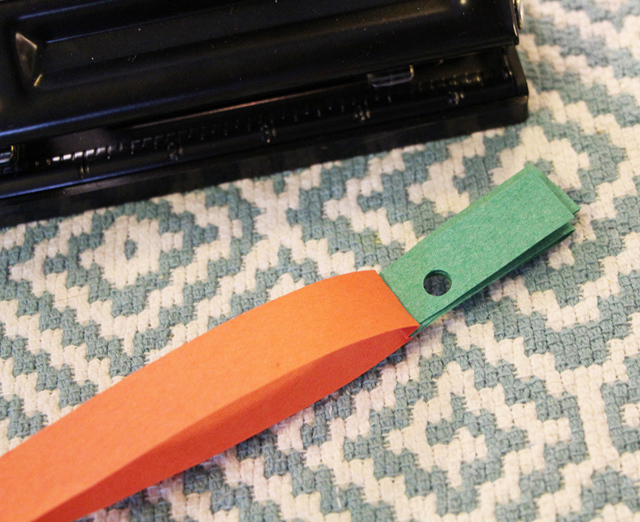 Repeat this step and cut out the entire paper into strips. Repeat the same process with the green piece of construction paper. Take the green strip and fold it about 5 times in a zig-zag. This will become the leaf on the carrot. Fold the orange strip in half. 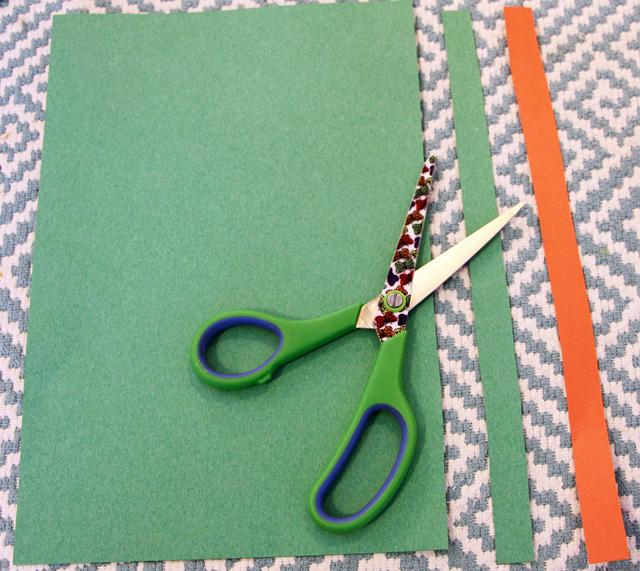 Put the green zig-zag into the fold of the orange paper, and staple them together. Fold down the orange strips to create the carrot shape. Staple the two ends of the orange paper together. Repeat the steps to create the rest of the carrots for the garland. Use a whole punch (a single hole punch works best) to punch a hole through the green leaves. Cut the string, about 2-3 feet long. String your carrots onto the string to create the garland. Hang up your carrot garland and enjoy.